These current sources have been specifically designed for LED testing and provide an abundant set of features for this purpose. 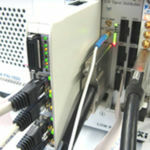 Tests can be performed in DC or in pulse mode with precise current regulation being maintained even for pulse lengths as short as 100µs and a duty cycle of 0.1%. Care has been taken to avoid any overshoots in pulse mode and current ripple has been reduced to a minimum. 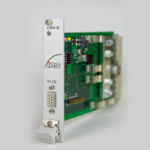 Up to six current sources can be placed on a carrier board and up to 10 carrier boards fit into a single 19” rack (6 HE), resulting in a maximum number of 60 channels per rack. 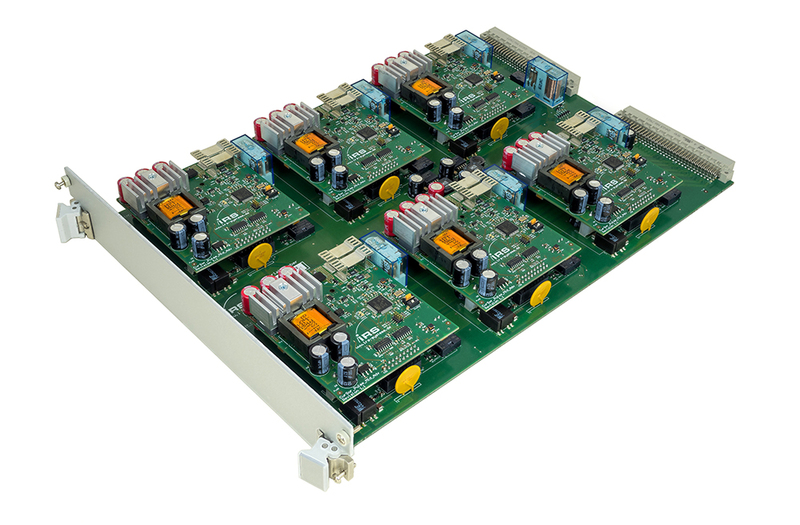 Each channel can permanently supply up to 100W of output power and since the current sources are galvanically isolated, they can easily be used in parallel if more power is required. In DC mode, the number of parallel channels is unlimited, while in pulse mode up to 6 channels can be synchronized and used in parallel, resulting in a maximum pulsed current of 36A and output power of up to 600W. Separate sense wires make sure that load voltage measurements are always accurate.